Water damage is unfortunately a part of life for many residents who live on the shores of Long Island, but no matter what kind of problem you experience the water damage East Islip team at 911 Restoration Long Island is here to remove water and perform repairs with technicians who are available 24/7/365. Our experts know how trying these situations can be, and this is why we always put the customers first. Additionally, we also will help you fill out the insurance paperwork too. East Islip is home to three marinas, two public and one private, that afford residents with the opportunity for all sorts of fun water recreation. Water sure is a blast when it’s in the right place, but if it floods your basement and you require water damage restoration services the party is over. With over 35 years of experience our water damage East Islip company performs the fastest and most thorough water extractions in the area, so don’t hesitate to get in touch with our friendly water damage East Islip team with 911 Restoration Long Island for help today! The water damage East Islip technicians at 911 Restoration warn that you should never try to restore water damage on your own without the proper tools and the latest drying technology that we bring to every job. 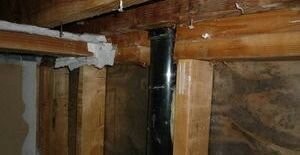 If your area isn’t completely dried you are inviting dangerous mold and other health risks into your home. For anything from a pipe burst or water heater leak to a flooded crawlspace or rain leaks, the issue must be addressed professionally to avoid more trouble in the future. Our water damage East Islip crew gets every last drop of moisture off of your property before moving on to water repair. Here on the coast it’s important to maintain a quality sump pump. You may even consider having a backup, battery-operated sump pump on hand just in case you lose power in a storm. Make sure your rain gutters are doing their job as best as they can by regularly cleaning leaves out of them. Damaged wood floors, cabinets, carpets and drywall are no match for our skilled technicians, and you can read even more about us and what we are capable of. One call to the water damage East Islip crew with 911 Restoration and you will be on your way to a full recovery for your office, residence, or wherever you need our help today! You should trust 911 Restoration because every member of the water damage East Islip team is licensed, insured and bonded. Plus you can check out our testimonials to see our proven track record of success. We pride ourselves on always putting the customer first, which is why we respond to your call within 45 minutes and provide same day service for any water emergency. While you shouldn’t try water restoration on your own, what you can do is take important precautions to avoid problems in the first place, and our water damage East Islip crew is happy to give you some pointers. With low rates and our ability to work directly with your insurance company, we are far and away the best choice when you have a water crisis on your hands. If your home of office front is already inundated with flooding or a pipe burst, then contact our water damage East Islip team with 911 Restoration Long Island today!